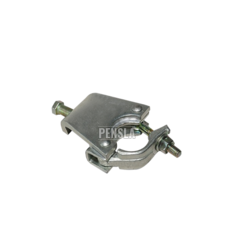 Our range of products include forged swivel coupler, forged right angle coupler, board retaining clamp, putlog coupler, beam clamp and swivel coupler pressed. 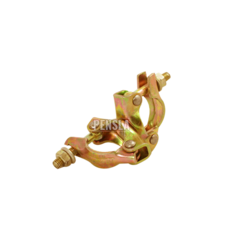 We are manufacturer, supplier & exporter of Forged Swivel Couplers in designed for our well-regarded customers. These super swivel couplers are made from quality raw materials. For its superb performance our swivel couplers are much admired by our clients all over the world. Its durability, eye-catching design and performance make it very popular. 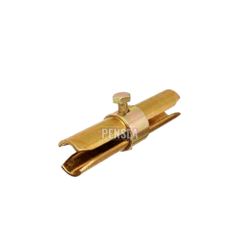 These couplers are effective for using it as industrial equipments. It is also called as Moving Coupler, Drop Forged Swivel Coupler, Double Coupler, Swivel Coupler, Etc. With an impressive growth record in this highly competitive industry, we are providing a qualitative range of Double Coupler. 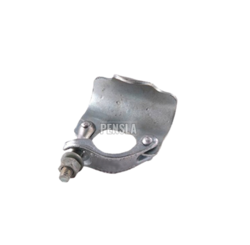 Forged Right Angle Coupler is also called as Fix Coupler, Non Moving Coupler, RAC Coupler and Double Coupler. Thickness Sheet part is made from 4-5 MM thick sheet. 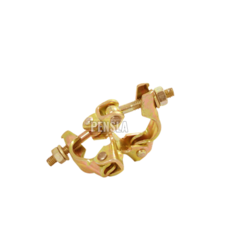 Keeping the diverse requirements of customers in mind, we are instrumental in providing Board Retaining Clamp. It is also called as Toe Board Coupler & BRC Coupler. Packaging Details: 50 Pcs per Bag. Backed by rich industrial experience and knowledge, we have been engaged in offering Putlog Coupler to our esteemed customers. These are known for their Longer Functional Life and Application Specific Design. These are used for Scaffolding Fittings. Under the strict supervision of our diligent professionals, this coupler is manufactured using superior quality components and is available to our client across the nation at the economical price. 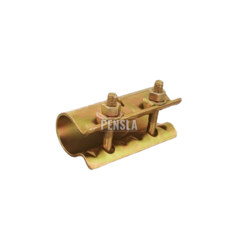 We have specialization in manufacturing the most advanced and highly reliable Girder Coupler. We have utilized advanced forging technologies to develop these Swivel Beam Couplers that are widely demanded to connect Scaffolding Tubes to a beam or girder at any angle. The offered couplers are equipped with 5/8" x 76mm mild steel hex bolt and 1/2" BSW Thread tee bolt, and can be ordered from us in bulk quantities. It is also called as Grider Coupler, Gravlock Coupler, Fix Coupler, Etc. Thickness Made from 3.5 MM to 5.0 MM thick sheet. We are highly acclaimed Manufacturers, developing premium grade Pressed Double Coupler. The offered couplers are best suited to connect two scaffold tubes at right angle. Featuring 1/2" BSW Thread x 21mm AF nut size, these couplers are developed from 4mm pressed steel and can be used easily for 48.3 mm outer diameter tubes. It is also called as Double Coupler, Sheeted Swivel Coupler, Pressed Steel Swivel Coupler, Pressed Coupler, Scaffolding Coupler, Etc. Backed by our flourishing business processes, we are offering Right Angle Coupler. Their application Specific Design, Rugged Construction and High Functionality make these couplers highly demanded in the market. Used as scaffolding fittings, the offered product is manufactured as per the set industry standards using supreme class components under the guidance of our experts. We deliver this to our client in the given time frame. It is also called as Scaffolding Coupler, Double Coupler & Pressed Right Angle Coupler,Right Angle Coupler, Etc. 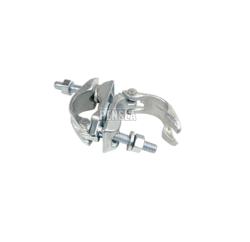 We are one of the leading manufacturers and suppliers of Universal Clamp that are widely used in Construction, Building and Engineering Industries. These universal clamps are available with anti-rotation pins for preventing rotation about a longitudinal axis of the clamp assembly. 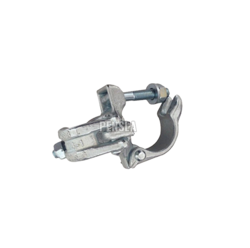 Universal clamps are designed and developed as per the defined quality standards. 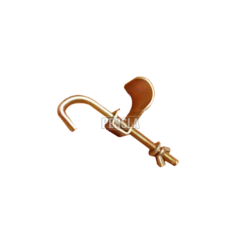 The universal clamp can also be custom made as per the detailed specifications of our esteemed customers. Abrasion & corrosion resistance, low maintenance and application specific design are some of their features because of which these are highly demanded in national as well as international markets. We are one of the leading manufacturers and suppliers of Ladded Clamp that are widely used in Construction, Building and Engineering Industries. These universal clamps are available with anti-rotation pins for preventing rotation about a longitudinal axis of the clamp assembly. 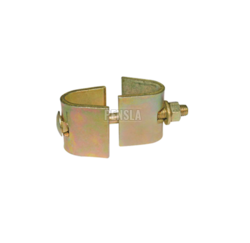 With its impeccable sturdiness and high resistance to corrosion, the offered Sleeve Clamp is known to be one of the primary preferences. Manufactured in accordance with the industrial norms, its quality standard is always maintained. In addition to this, the product is offered to the clients at the most affordable rate. 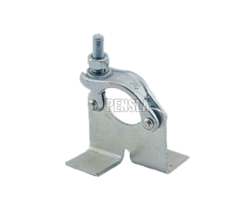 It is also called as Pressed Scaffolding Sleeve Clamp. We hold immense expertise in manufacturing, exporting & supplying a broad range of Joint Pin. Our product is manufactured making use of premier-grade raw material and advanced technology at our end. 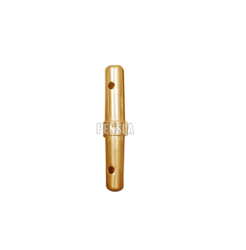 Owing to its corrosion resistance as well as superior finish features, the offered product is highly demanded in the market. Apart from this, clients can avail the entire range at nominal prices within given span of time. We hold immense expertise in manufacturing, exporting & supplying a broad range of Spigot Pin. Our product is manufactured making use of premier-grade raw material and advanced technology at our end. Owing to its corrosion resistance as well as superior finish features, the offered product is highly demanded in the market. Apart from this, clients can avail the entire range at nominal prices within given span of time. It is also called as Pin Connector.